The Future of Wine? Or Just Welcome To Wine? On the marketing side of the wine/beer/spirits world, everybody is tripping over themselves to understand the Millennial generation. This wave of population is quickly becoming a force in terms of sales and category growth, and they are driving the bus when it comes to craft beer success (one study found that over 60% of Millennial beer drinkers have never even tried Budweiser) as well as the spirits world. 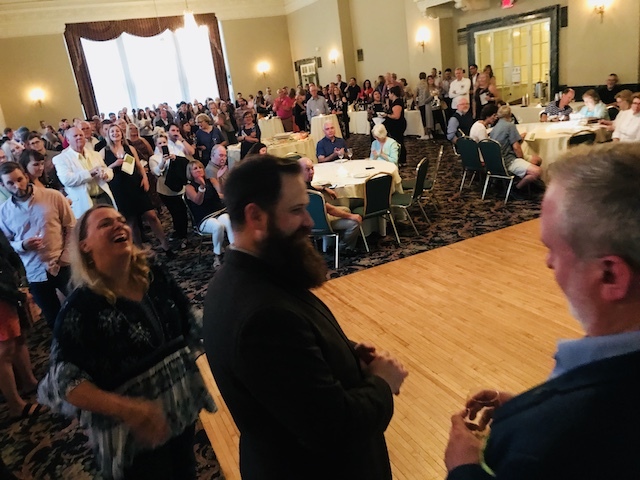 A big part of the excitement around the beer and spirits world is simply what’s new and what’s hot. It’s difficult for established but high quality brands to make a mark anymore. A perfect example: Summit Brewing. It’s wonderful beer, but it’s also poured almost everywhere and almost everybody has had it. There is simply less excitement for it amongst the younger drinkers because it’s not the shiny new thing, which is sad to say. To make a shiny new thing and stay on the front burner of the “OMG” drinkers, many breweries are turning to the novelty of flavor or creative production methods. Limited run kegs. One-off beer experiments. Flavor adjustments via different yeasts. Oak barrel aging. Double hops (yuk). It might not be for everybody, but that’s not the point. The point is to stand out. Photo from the CF Napa Brand Design website. In terms of the marketing side of the wine industry CF Napa is one of the clear leaders. If you are graphically oriented, check out some of their work. 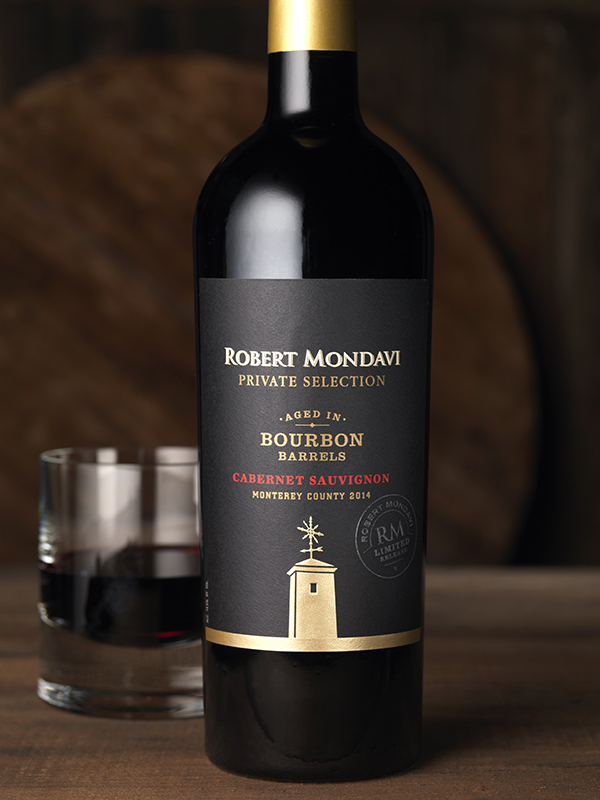 Yep, Cabernet Sauvignon aged in Bourbon barrels. Welcome to the blurring of the lines, something we are going to see more of in the coming years. As larger and established brands (usually owned and controlled by very large corporations) try to stand out amongst the new wine drinkers they can’t do the same old thing. I have not yet had the new Cabernet Aged In Bourbon Barrels, but word around town is that it’s selling quite well. And I’m guilty of curiosity too, for I’m going to go out today and buy a bottle so I can form an opinion. 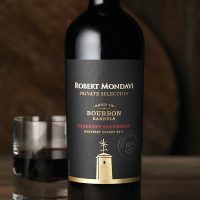 The interesting thing about this new Mondavi product is that while it’s new and has a hook, aging experiments or flavor additions in wine have been happening forever. At its core, aging wine in oak is a form of flavor adjustment. There is a great tradition of making wine from whatever is left over and sitting around, spiked with some high proof alcohol, and it’s called Ratafia (and one of the best is made here in Minnesota … check out a 16 year old Dara Moskowitz article on the subject). During the summertime I enjoy New Age wine served on ice with a slice of lime (the Tincho). And of course Sangria is one of the prime examples of shaping a wine into something unexpected and delicious. 1) If it does in fact bring more people into the world of wine, then that is awesome. If a handful of bearded and bespectacled liquor lovers become curious about wine because of this product, cool with me! 2) Experimentation with aging vessels happens all the time, everywhere in the world. A friend of mine is fascinated by the fermentation process that happens in concrete eggs. Aging in Bourbon barrel is no different. It’s experimentation. I’m off to buy a bottle to try. Keep an eye on the Twin Cities Wine Facebook Page for an honest reaction. Which Came First? The Wine or the Keg?